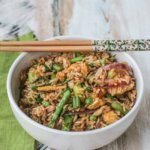 Asparagus Fried Rice is a fast, simple and delicious seasonal dinner that the whole family will love. A copy of Farm to Table Asian Secrets: Vegan & Vegetarian Full-Flavored Recipes for Every Season was provided to me by the publisher for the purpose of an honest review. Affiliate links have been used to link to items I am discussing. 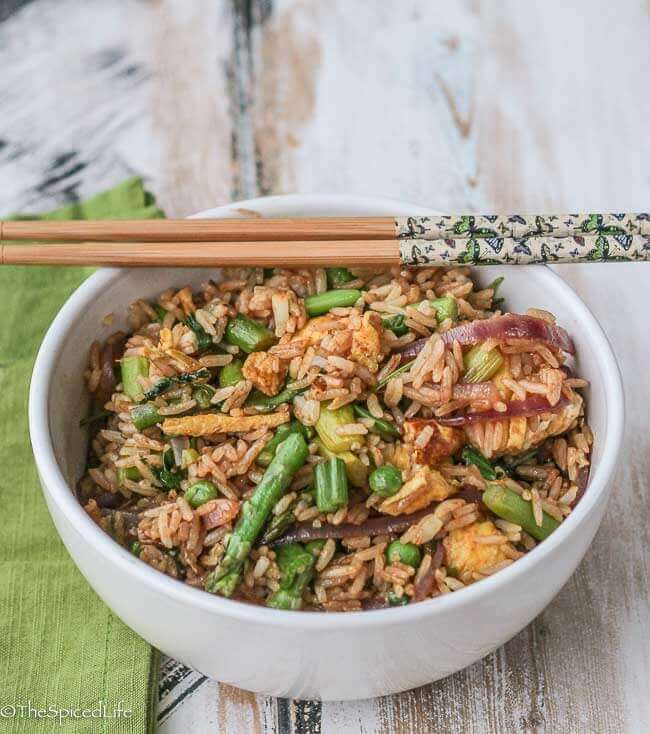 This Asparagus Fried Rice recipe is not too different from other fried rice recipes I have posted–but it does have one ingredient that served as a light bulb moment for me. Asparagus. I don’t know why, but except for this Indian Asparagus with Ginger, I have never used asparagus much outside of traditional American and European dishes. Which is crazy because we loved that dish and we seriously love asparagus. I guess because it has such a strong, distinct flavor, I was not sure how well it would work in other cultures’ cuisines. The answer is really, really well. So well, in fact, that you can expect to see more asparagus dishes in the upcoming weeks. Instead of serving it on the side, I have taken to adding it to curries, soups and anywhere it sounds good. 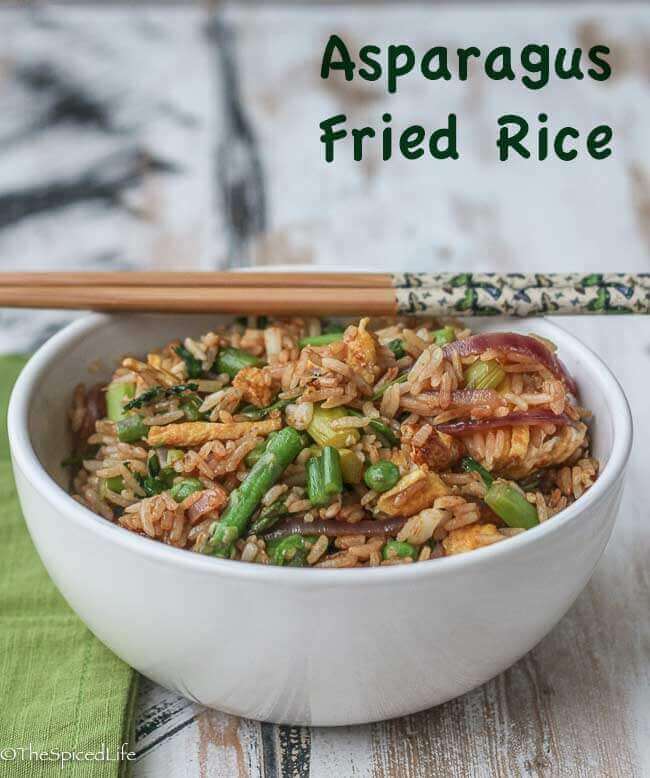 So when all is said and done, I must thank Patricia Tanumihardja for the idea, in her Farm to Table Asian Secrets: Vegan & Vegetarian Full-Flavored Recipes for Every Season –because it would never have occurred to me to add asparagus to fried rice and my family went crazy for this. There was not a drop left. When Tuttle Publishing contacted me, offering me a review copy of Farm to Table: Asian Secrets, my response was a no brainer. Tuttle’s catalog is full of accessible Asian cookbooks, and I have reviewed their offerings more than once. 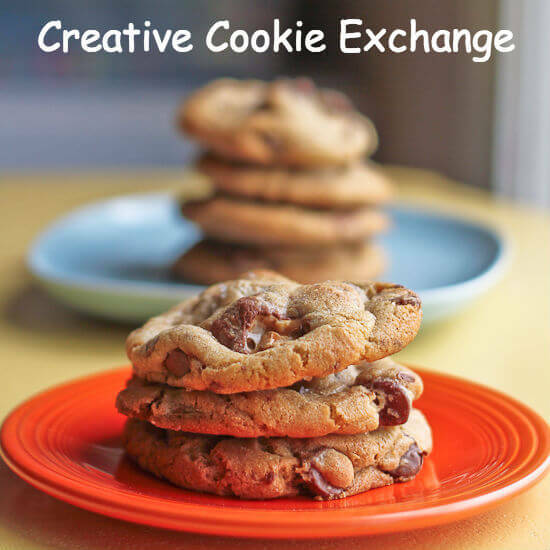 This one is a little different from their standard fare, a little more cutesy, which is not really to my taste, but the font is still legible (despite being cutesy–hard to read recipes are one of my pet peeves). It is wonderful to have an Asian cookbook geared toward what is available in an American farmers’ market. The author was born in Asia but now resides in America, giving her the perfect perspective on creating Asian dishes with American ingredients. My only real complaint is that the book is vegetarian, but I will just add fish sauce anywhere she has left it out of her S.E. Asian creations (to clarify: I am fine with vegetarian dishes, but I do not really care for vegetarian versions of dishes that call for fish sauce as I do not think there is any substitute). Adapted from Patricia Tanumihardja. 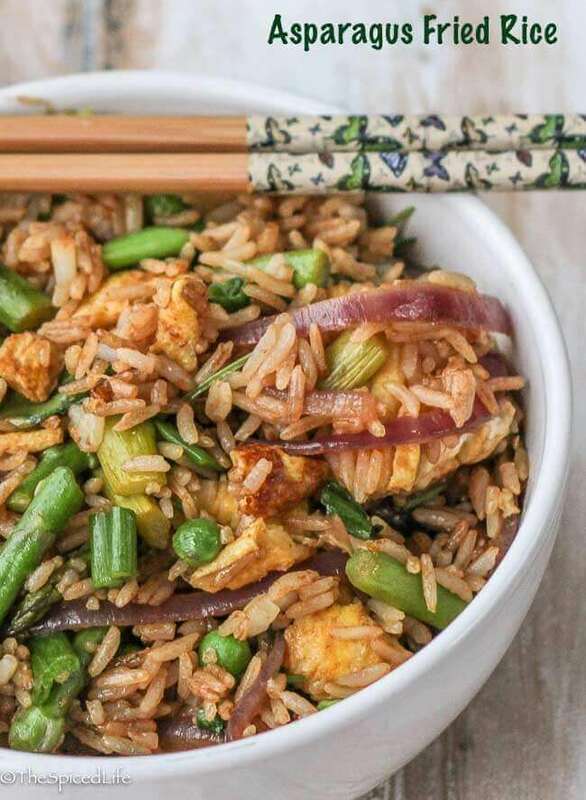 We love fried rice served with Thai Sweet Hot Garlic Sauce. Using a brush, lightly brush some of the oil all over the inside of a large nonstick skillet. Heat the skillet over medium heat--when it is hot, add the eggs with a pinch of salt. Tilt the pan to spread them out. When they are set at the edges, fold them over and then flip. Cook until cooked through, flipping as needed. Slice the cooked omelet onto a cutting board. Quickly chop the omelet and place in a prep bowl. Heat the skillet with the remaining oil. Add the garlic and ginger and cook over high heat, stirring constantly, for 1-2 minutes, until fragrant and lightly browned. Add the chopped red onion and the chopped whites of the green onion with a pinch of salt. Cook, stirring, for 5 minutes. Add the asparagus stalks and cook, stirring, for 1 minute. Then add the asparagus tips and cook another 1-2 minutes, stirring. Add the rice in clumps and then use 2 wooden spoons or spatulas to stir, toss and breakup the rice. Fry, constantly stirring, for 3 minutes. Add the peas. Mix through--if you are adding them frozen, cook for 1-2 minutes, until heated through. Add the soy sauce, cooked eggs, chopped green parts of the green onions, and chopped cilantro. Toss. Then add the sesame oil, toss, and then serve. « Strawberry Lemon-Lime Pie: Alex Bakes! beautiful picture and i would like to eat it.